We've all been stuck in a soul-crushingly long line with sore legs and thought, "Eff this, I'm gone." This feeling is especially pertinent on Election Day, of course. But what if someone enticed you to stay with the promise of fresh pizza? Well, Pizza To The Polls is here to answer your prayers, folks. The nonpartisan initiative wants each and every one of us not to give up on exercising our right to vote, just because we might get tired of waiting in a seemingly impossibly long polling station line. 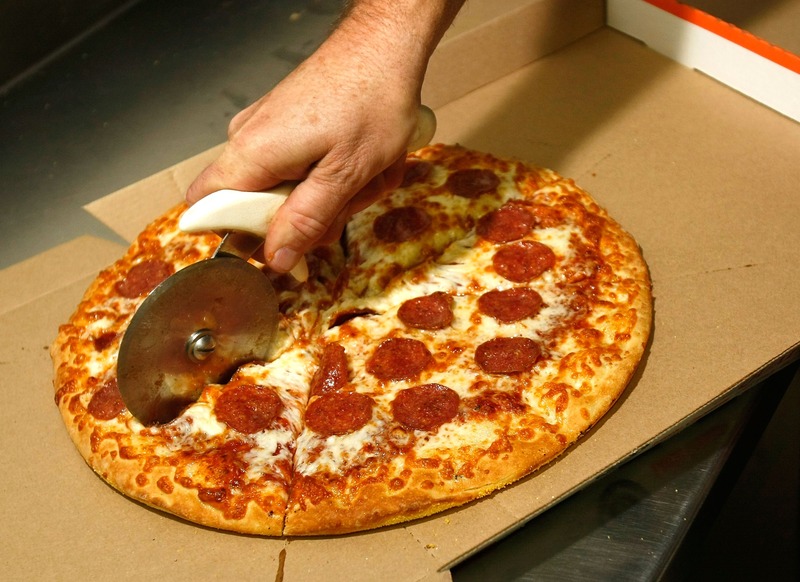 So, the organization came up with the idea to deliver free pizza to voters waiting in line at the polls, to ensure that no one quits on casting their vote. And in a presidential race where every vote is more important than ever, I can't help but think this is complete genius. "Americans are hungry for democracy and are turning out in record numbers to vote," the Pizza To The Polls website reads. "But that means long lines and sometimes empty stomachs, which might discourage these brave patriots from performing their civic duty." The answer? Free, local pizza of course. The website works by simply dropping off food to hungry voters when they receive a tip-off for a long line. They promise: "Pizza To The Polls is here to deliver the one thing that pairs so perfectly with freedom: piping hot 'za. Send us reports of long lines and we'll send in the delicious reinforcements." There's also a section on the site where anyone can leave a link to a social media report of long waiting times, as well as the address of that particular polling station. This will enable the organization to get fresh dough down there, ASAP. The grassroots initiative state on their site that they prefer to opt for local pizza delivery spots over big chains, but that they usually use SliceLife to find pizza places close to the lines because "they let us tip and don't require someone to sign on delivery." According to The Huffington Post, web developers Scott Duncombe and Noah Manger are the brains behind the national giveaway. Duncombe and Manger, from Portland, Ore., had leftover money from an anti-Trump PAC called the Americans Against Insecure Billionaires With Tiny Hands PAC. Speaking to HuffPo about the project, Duncombe revealed, "I had access to that fund, and we didn't have any plans for it. This felt like a good way to make sure that money went to a good cause." The clever site relies entirely on the donations of other politically-minded, pizza-loving citizens. At the time of this writing, Pizza To The Polls had received an incredible $21,354 in donations, which equates to 576 pizza delivered. So if you're heading out to exercise your right (either to the 19th Amendment or otherwise) and you're put off by super long lines, never fear. You've got absolutely no reason to quit now. Democracy never tasted so good, right?